Throwing An Oscar Bash? Here Are Some Ideas If you're rolling out your own red carpet tonight, we have tips on how to keep your guests full of Oscar-themed food, drinks and challenging trivia. Hollywood's elite are gathering in Los Angeles tonight for the Academy Awards. If you're hosting your own viewing party, here are some tips on how to keep your guests flush with Oscar-themed food, drinks and challenging trivia, courtesy of Dan Shapiro. He's a big-time movie buff and co-owner of Modern Bite Bakery in Los Angeles, and he knows how to host festive Oscar parties. 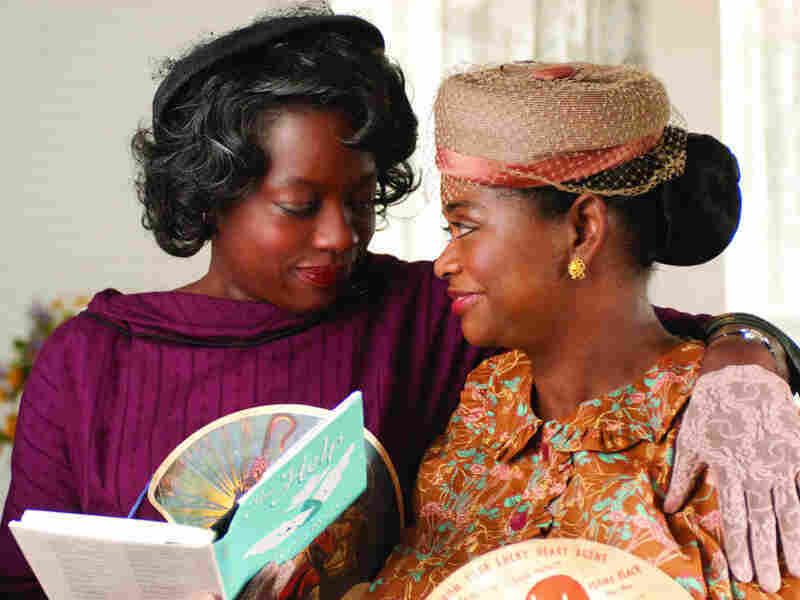 Check out NPR's Best Picture Cheat Sheet for more on the nominees. Top a small wheel of brie with a mixture of 4 tbsp marmalade, 2 tbsp chopped almonds and 2 tbsp chopped dried apricots. 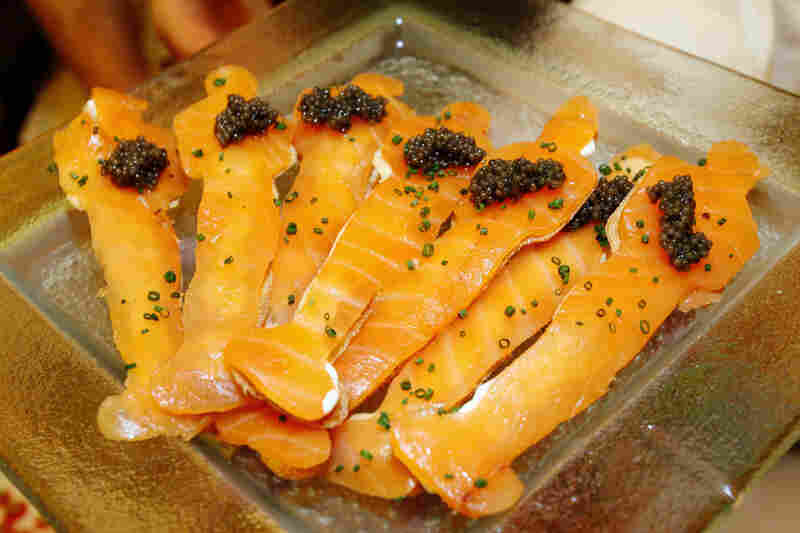 Bake at 350 degrees for 20 to 25 minutes, and serve with crackers or a sliced baguette. Rub tuna steak with sesame seeds. Heat sesame oil in a skillet and sear the tuna for two to three minutes each side. Slice thinly and serve on cucumber slices or crackers, drizzle with soy sauce and wasabi. Stuff pitted dates with small cubes of blue cheese. Wrap each date with bacon, and place on a foil-lined baking sheet. Bake at 375 degrees for 15 minutes or until bacon is crispy. Wrap mini cocktail hot dogs in puff pastry. Bake and serve with yellow mustard. Start with chilled champagne, ready at the door. For a special twist, add a drop of Chambord or peach syrup to each glass before pouring. For a budget alternative, use sparkling white wine with macerated strawberries. Once the viewing begins, mix up a fun retro cocktail: mint juleps (mint leaf, bourbon, sugar and water) or a blended fruity rum drink like a scorpion (rum, brandy, lemon juice and orange juice). Create a music playlist made up of original score and song nominees and/or past song and score winners to play as guests arrive. Print out ballots and assign point values to each category, i.e., Best Movie = 10 points, Sound Design = 2 points, etc. All ballots must be completed and turned in during the red carpet pre-show. 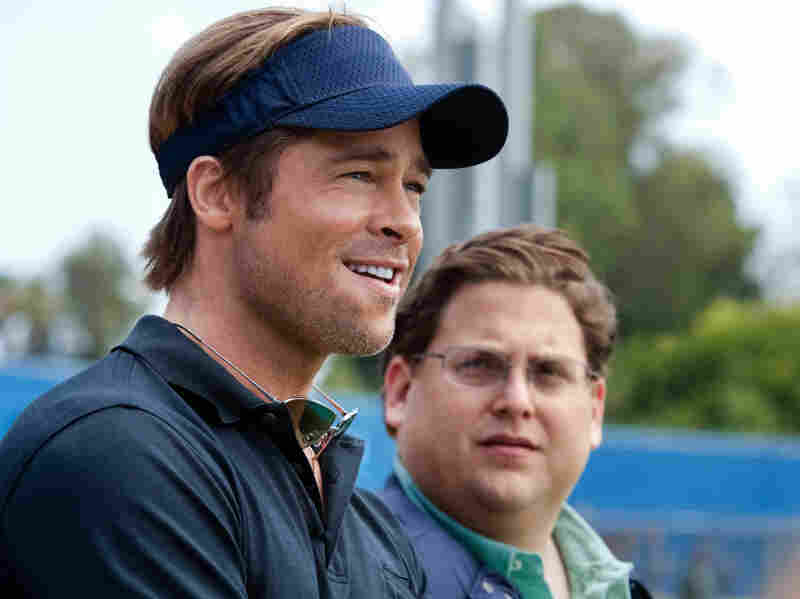 Have one guest be the official score keeper. You can use the Academy Awards' 2012 ballot pdf or create your own ballot. List the years 2000-2010 vertically on a piece of paper with three columns across top: Best Movie, Best Actor, Best Actress. The winner is the person with the most correct answers. (Oscars.go.com has lists of past winners.) You can also have guests write down the names of the 10 most recent Oscar hosts. Invite guests to dress up in their red carpet finest and set up a paparazzi line at the door, taking pictures as they arrive. These can be fun follow-up emails the next day. Or, you can invite guests to dress up themed to their favorite movie or character — not full costumes, but clever interpretations. As you set up for your Oscars viewing party, workers are literally rolling out the red carpet to get ready for the awards night. 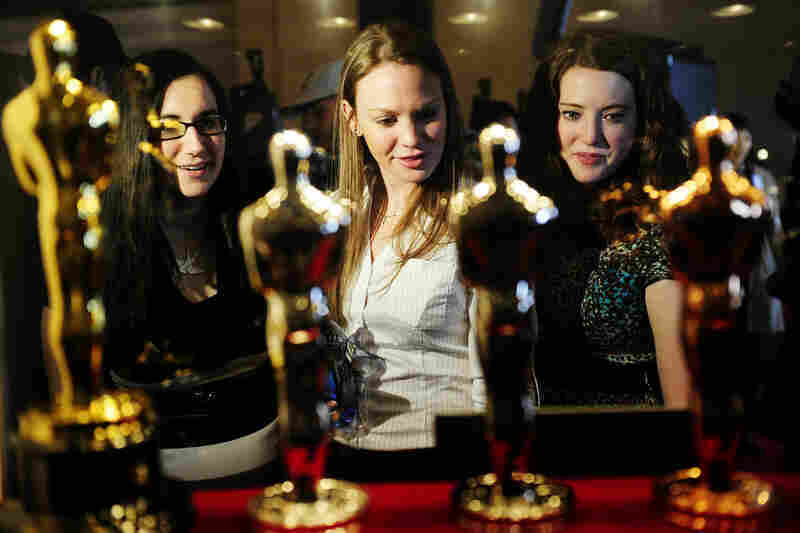 Oscar fans in New York take a closer look at the statuettes on display during the "Meet the Oscars, Grand Central" exhibition at Grand Central Station on Feb. 22. The Kodak Theater, seen early Friday morning, starts taking shape for Sunday evening's red-carpet arrivals in preparation for the 84th Academy Awards held in Los Angeles. KTLA News reporter Wendy Burch poses on the red carpet during early preparations for the awards ceremony. 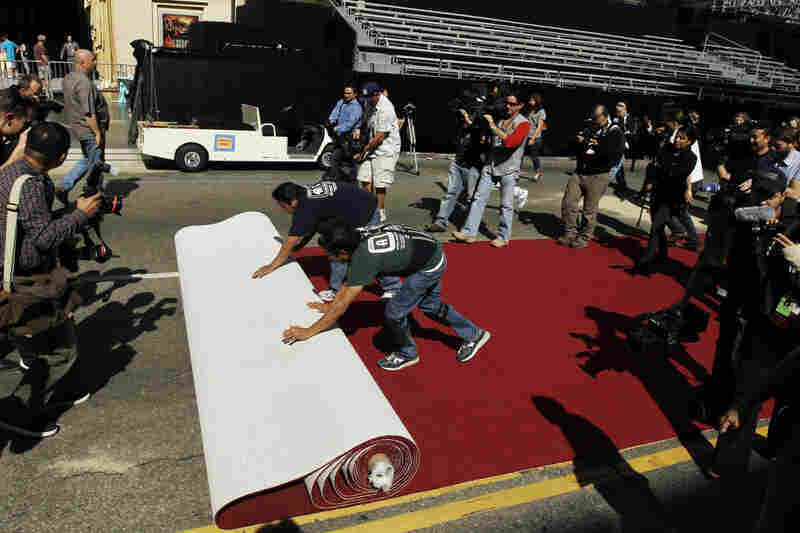 Workers roll out the red carpet as press photographers clamor to capture the moment as Oscar night approaches. 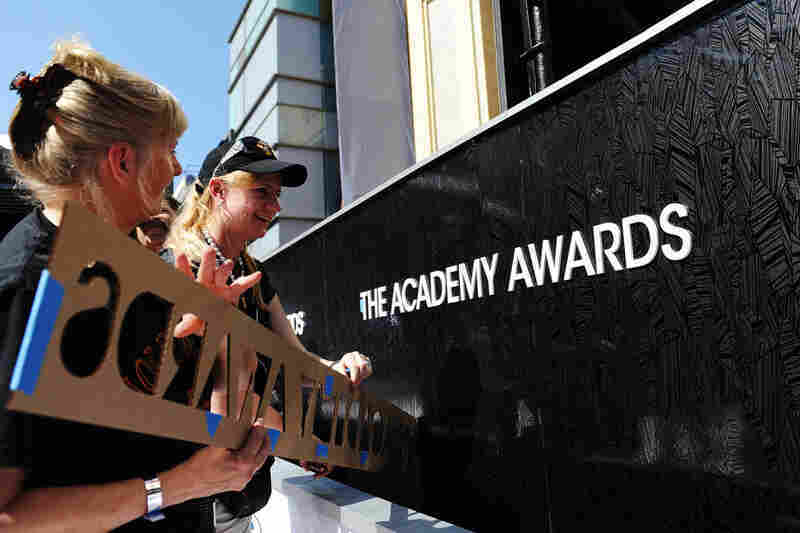 Lead scenic artist, Dena D'Angelo works on the finishing touches for the set of the awards show outside the Kodak Theatre. 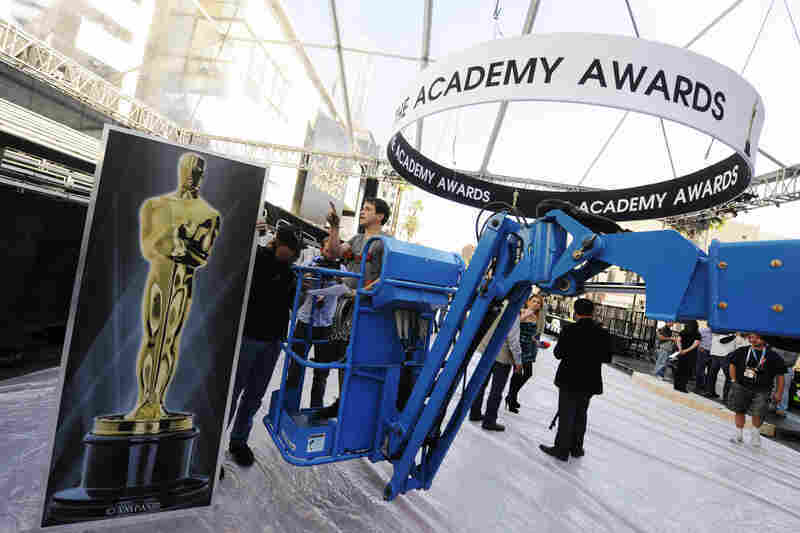 Crew members apply a fixture onto a wall of the red carpet for this year's Academy Awards hosted by Billy Crystal. 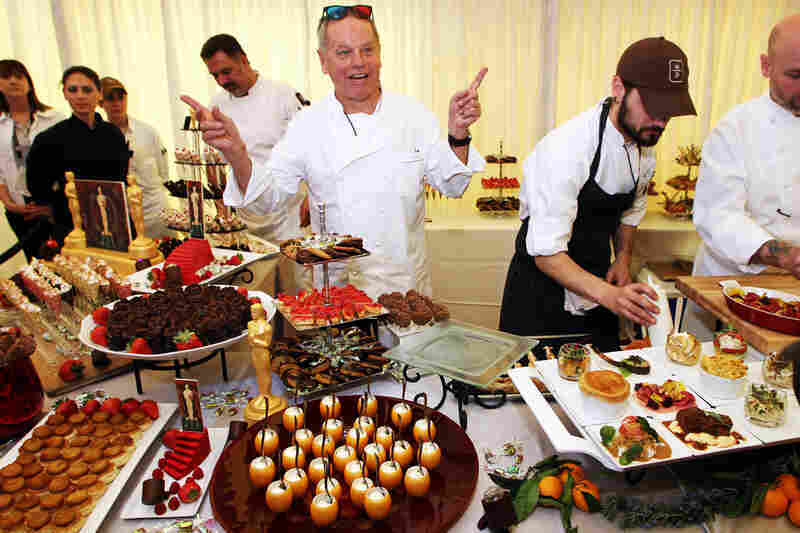 Chef Wolfgang Puck made 24-karat chocolate Oscars and a chocolate with a 3-D image of the golden statue as part of the dessert course for the Governors Ball held last Thursday. 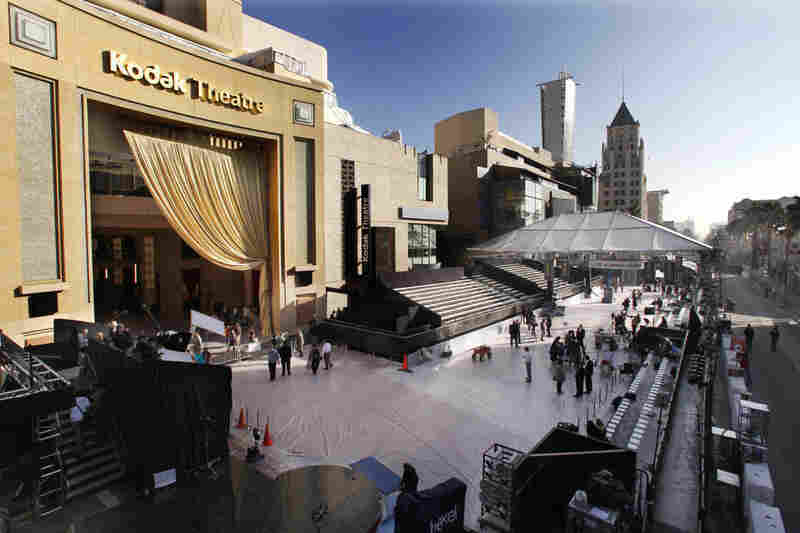 The Academy Awards banner hangs over where the red carpet will be placed at the entrance of the Kodak Theater.